Starburst is proud to offer cutting-edge print on demand services. 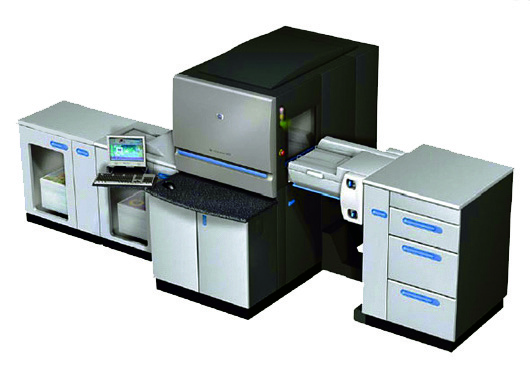 Print on demand (POD) is a printing technology and business process in which new copies of a document are not printed until an order has been received. Print on demand developed only after digital printing began -- it was not as economical to print single copies using traditional printing technology such as letterpress and offset printing. Print on demand with digital technology is used as a way of printing items for a fixed cost per copy, irrespective of the size of the order. While the unit price of each physical copy printed is higher than with offset printing, the average cost is lower for small print runs, because setup costs are much higher for offset printing. One important aspect of print on demand which is often overlooked is its eco-friendliness. Traditional lithographic printing uses vast amounts of paper, ink, and chemicals. Each year thousands of unsold books and magazines are pulped – simply too many have been printed. While the paper for some of these may have come from sustainable sources, it would be less of an environmental detriment to not use the resources to print in the first place. Print on demand eliminates this problem, since documents are only printed when a definite order is placed – meaning they’ve already been sold. Starburst Printing & Graphics offers Print on Demand in a variety of formats, including crisp and clear black and white, easy-to-read large-format printing, and Print on Demand using the stunning Indigo printing process.